Under construction!!! 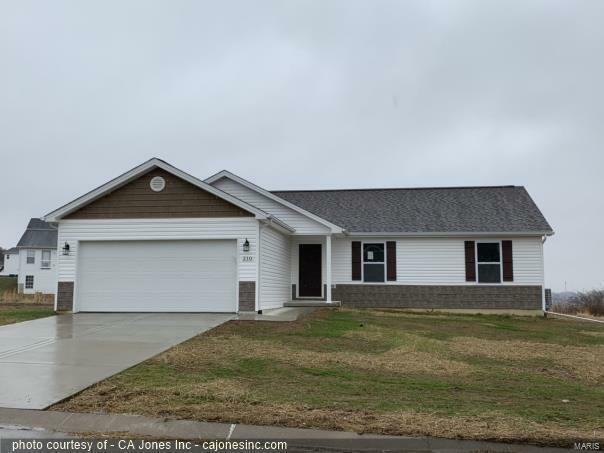 !- 3 bedroom, 2 bathroom, 1 story ranch home with 1500 square feet! This beautifully designed kitchen has Delta Faucets, stainless appliances, and HD Formica Countertops. The eat in kitchen has a breakfast area as well as a pantry. The Family room and Master Bedroom both have vaulted ceilings. The open stair case has wrought iron spindles. The spacious master bedroom is complete with a walk in closet and the master bath has a separate tub and shower. This home has plenty to offer! !